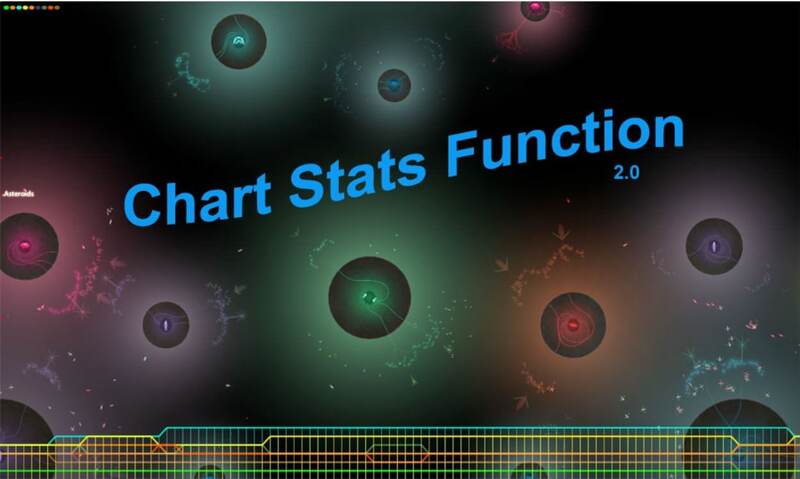 Here is an updated version of the Chart Stats Function. Charts will now record unlimited data points. Added text describing which chart is activated (with an option to also display Player's numerical stats via code-activation). Charts will now automatically eliminate screen clutter if data-points exceed user-defined limits. Minor code changes to increase efficiency and help eliminate future naming conflicts. Any problems, questions, suggestions, or comments respond this thread. Woa, people are still writing stuff? I must get back on the horse! Just a brief update. I tested custom textures the other day and they are going to work fine. So for future game editor stuff, I think we'd support replacing all the artwork. You'll definitely also be able to construct new entities using all the eufloria procedural content rules. Sounds very exciting. I just hope I'm still around to see it! Having had my hopes dashed too many times before, I'm cautiously excited about the prospect of actually seeing OHAI in action.